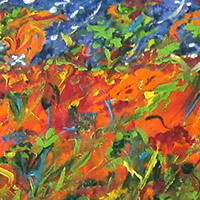 I love colour and love to paint - intensely and with passion, often in abstract form. I enjoy the experience of sharing my art with others. Beauty in all its forms is my inspiration. The mediums I use are acrylic, oil pastel, watercolour and fabric. In this acrylic painting, stars whiz, comets soar and nature plays in a night celebration of cosmic joy. 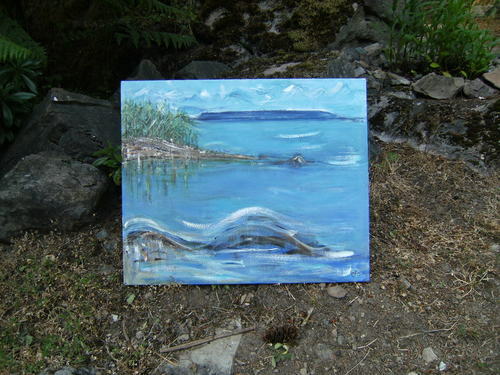 The beauty of the Southern Gulf Islands of BC is captured in abstract form using Acrylics. 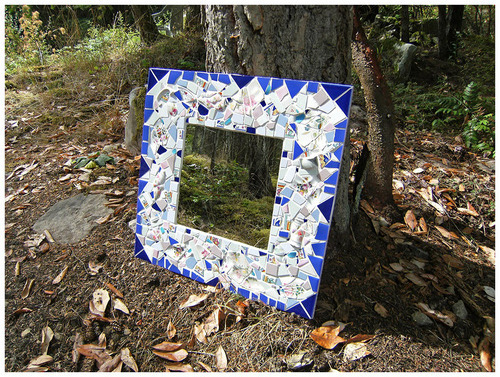 Bits and pieces of crockery and tile make a pleasant border for the mirror. 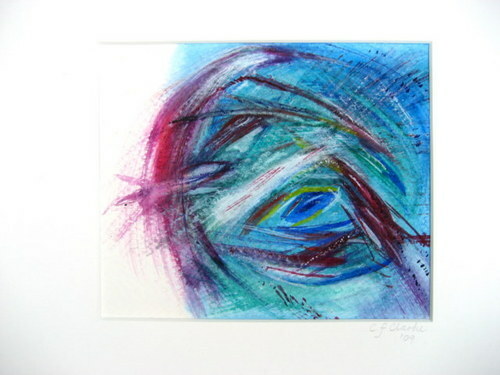 Using watercolours to paint abstract art led me to use techniques and brushes to create a new look - allowing for fine detail, vibrant colours and softness - not as easily achieved with acrylics. Creating quilts that reflect my love of nature and colour brings me joy. 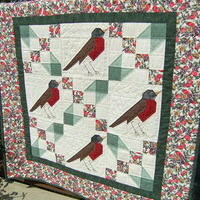 Robins are my favourite Canadian bird, they hold a special place in my heart.